Do you ever see photos of a room that make you gasp involuntarily? That bring a smile to your face? 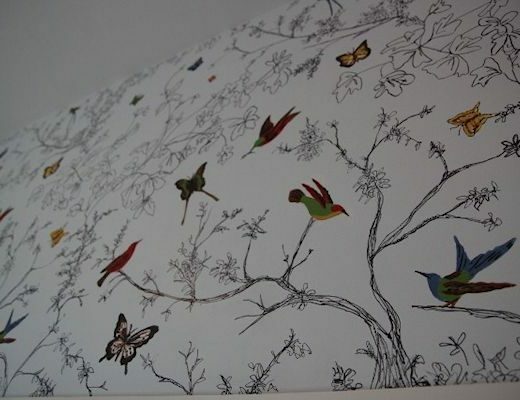 That make you want to see each and every little tiny detail so you don’t miss any of the charm? That’s what happened to me when I came across this kitchen on Flickr, belonging to Jennifer Becker. 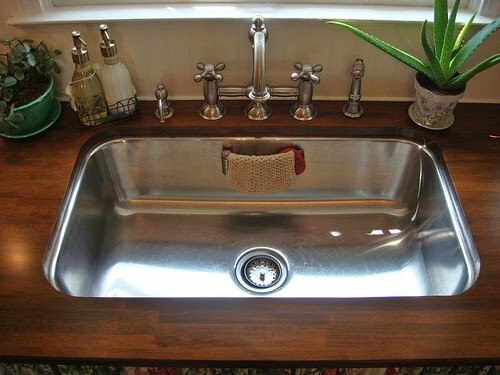 I was searching for pictures of kitchens with the different types of Ikea butcherblock countertops, and I came across this incredible kitchen. 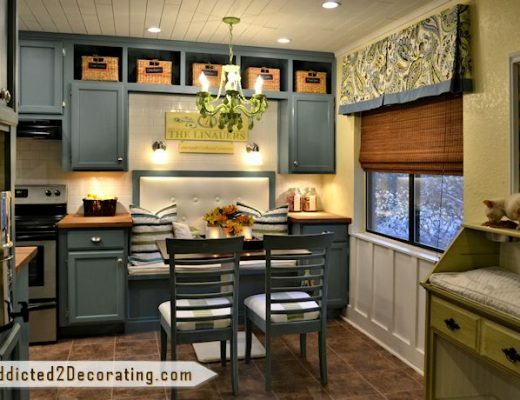 I love the color…the ceiling…the chandelier…the countertops!!! Don’t you love it when you just stumble upon something so inspiring?! There are many more pictures on Jennifer’s Flickr photostream. Learn more about Whirlpool refrigerators. IT is very cute- I love it. Do you think she would mind if I moved in? LOVE the chandelier in the Kitchen! Very charming! I really like the message board. Every kitchen needs one. And it almost looks like its magnetic as well. You could probably put chalkboard paint over a piece of thin gauge steel if you put some metal primer on it first. 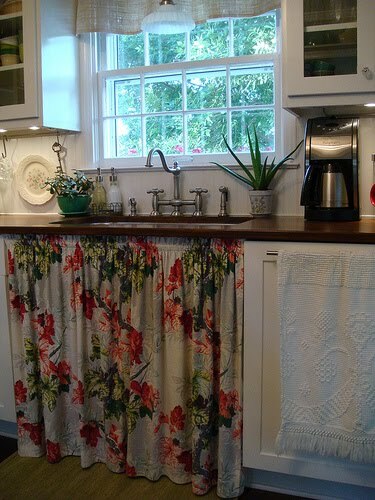 I love the bark cloth in front of the sink! Overall, the kitchen is very nice. You kitchent is so beautiful, it is indeed charming. Nice pictures, thanks. Such a beautiful kitchen. I might actually like to cook if I had a space like that. I’m making a kitchen countertops that will be an end-grain butcher block style top. This is for an island that has a range in the center with the countertop going around the three sides. The rest of the kitchen has hard maple and padauk long-grain countertops and this island will stand out with the end-grain butcher block pattern. Very nice! The chandelier adds a charming touch! 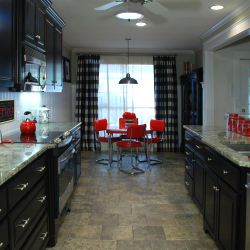 I looooooooove those countertops!!! 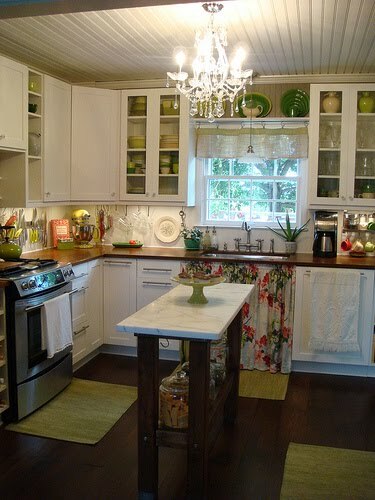 It seems a little too busy for me (lots of stuff going on, lots of open cabinets, etc) but I do like it!! I love it, I always like to see spaces that look great and comfortable at the same time! Cute. Between your ceiling and the ceiling in these photos, I know what I HAVE to do in my house now! I <3 virtually everything you share! If only my budget matched! 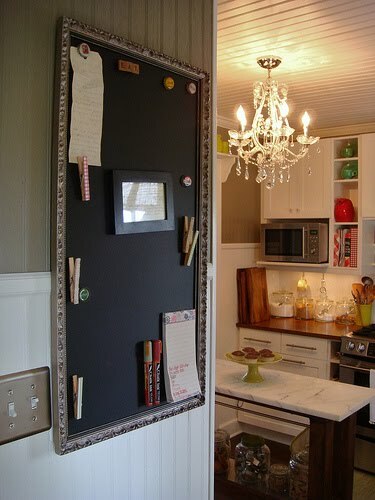 What a lovely kitchen – I especially love the pretty chalk message board! i think every body want to get benefit.every one have different choice.some people like green color and some people like white color.peoples want to take all things in one kitchen like low temperature washing, refrigerators and freezers effective power, and so on. 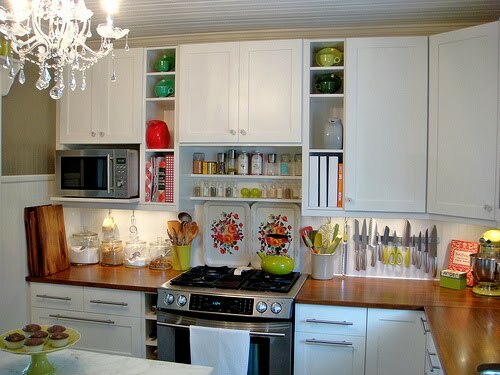 I really love this kitchen, it is very beautiful. The green color stuff helps the kitchen to get rid of bore,which add more passion to the chef who love cooking here.